Your firm’s future skill sets needs are increasing dramatically. By not adding future skills every day through every new hire, you are reducing your company’s ability to be competitive and grow. The importance of beginning to immediately build your organization’s future skill sets can’t be overstated. Here’s why. First, the more rapid adoption of radical technologies like robotics, quantum computing, and machine learning will speed up the dramatic shift away from repetitive work and the more traditional skill sets associated with that type of work. Many executives and HR leaders have assumed that these emerging future skills will be obtained through the traditional approaches of redeploying and retraining current employees. However, most of these future skills are so technical, mental, and difficult to learn that current employees won’t be able to acquire them. Retraining current employees will often be too risky, time consuming, and expensive … a fact that I highlighted in my previous article covering corporate skill pivots and how GM began its recent focus on recruiting future skills. The need for these skills may arrive more suddenly than most organizations have anticipated. Instead, the best option is to hire fully developed and experienced people who are already up to speed and to do that hiring before the talent competition becomes intense. In addition, acquire the talent prior to the time when these future skills are needed so that new hires have time to adjust to your firm’s culture. As many as 40 percent of all jobs will literally be eliminated as a result of machine learning and robotics. The skill sets that recruiting will be seeking for new jobs will be breathtakingly different. In fact, I estimate that as many as 80 percent of the future skills required by a company will have to be acquired externally through recruiting. And there’s the rub: the recruiting function at most corporations is unprepared to require that all new hires have both current and future skills. The first problem is that corporate recruiting leaders have yet to realize the important role that they must play in populating the organization with future skills. Until they have accepted that role, they won’t have a plan on how to accomplish it. So, without a change in strategy, I predict the recruiting function at most companies will be responsible for up to a two-year delay in their firm’s acquisition of the required future skills. The second problem is that most current recruiters don’t have the advanced skills and the talent required to recruit the sophisticated and hard-to-land talent working in the areas of machine learning, robotics, quantum computing, and cybersecurity. Recruiting is only marginally involved in workforce planning — Outside of employer branding, everything in recruiting is designed to fill immediate needs. What needs to happen is that recruiting must become involved in the workforce-planning process and work with the COO to determine future skill needs. Everyone in HR knows what percentage of these skills must be acquired through each of the three available approaches of training, redeployment, and recruiting. Recruiting has no skills-acquisition plan — to ensure that everyone in recruiting is on the same page, recruiting leaders must develop a formal “future skills acquisition plan” with quarterly goals and performance metrics. In addition, individual hiring managers and recruiters should also be measured and rewarded on meeting their future skills targets. Shortsighted hiring managers have too much power — Currently, recruiting is overly focused on meeting immediate skill needs. A narrow, short-term focus is often driven by the demands of shortsighted hiring managers. It is almost impossible to start recruiting individuals with future skills in the current environment where recruiting leaders are so acquiescent and yielding to hiring managers. Recruiting can’t change the skill sets that it targets in an environment that allows hiring managers to almost unilaterally limit the skill requirements to those that meet the immediate short-term needs. And, that won’t change until recruiting leaders learn how to nudge or influence hiring managers successfully. Another alternative is to obtain the authority to require that each new hire possess at least a portion of the soon-to-be-needed future skills. An effective starting point is to require all job analysis, job descriptions, and job ads to include a mix of both immediate and future skill needs. Google uses hiring committees in part to limit the ability of managers to overly focus on short-term skill needs. Currently, the hiring process doesn’t screen for future skills — The candidate screening and interviewing processes must also be modified to ensure that candidates are assessed on both current and future skill sets. There must be checks in place to ensure that all offered finalists have the desirable ratio of current and future skills. HR will have to develop these new capabilities — In addition to recruiting, HR will also have to change. With so many emerging software and hardware capabilities, HR will need to develop the capability to decide without bias: Which work situations is it best to hire individuals as opposed to purchasing robots? Individual managers will have to be hired based on their ability to manage both people and robots effectively. In a world with many ups and downs, all HR processes must be reengineered to ensure that they are quickly scalable so that they can rapidly increase their talent capability or reduce their costs as environmental factors change. What Are the Future Skill Sets That Recruiting Must Help to Acquire? The specific future skill requirements of every corporation will vary depending on their industry. Although, across all industries, workforces will need several categories of future skills. To ensure cohesion and a work chain that has no weak skill links, every employee may need these seven skill sets. The ability to learn rapidly — Google has already found learning ability to be the No. 1 predictor of on-the-job success across all jobs. A significant portion of the workforce in every company will have to have intellectual curiosity and the ability to learn rapidly on their own, often without formal training. Collaborative skills that lead to innovation — In a fast-changing world, innovation produces a higher economic value than workforce productivity. And because collaboration is required to implement innovation, the workforce will have to be dominated by employees and vendors that know how to both collaborate and innovate. Speed becomes an essential capability — In a rapidly changing world, every element of the organization and every worker will need the capability to complete tasks faster. Managers will need the ability to identify problems and opportunities and to make accurate decisions faster. An organization that moves fast and in unison is essential in order to gain first-mover advantage. Adaptability also becomes essential — In a VUCA world, employees and processes will need to be extremely adaptable in order to pivot and change directions rapidly. The workforce will have to be flexible and capable of accepting continuous change. Being data-driven is no longer optional — As work becomes 100 percent digital, it is possible for every function to be data-driven. For that to happen, all new hires will have to be comfortable with shifting to a data-driven decision-making model. Being forward-looking is critical — to be prepared for upcoming problems and opportunities. Employees will need to be forward looking so that they assume that every process and product will soon become obsolete. A global mindset becomes essential — as global supply chains and customer bases expand around the globe. Employees will have to think and act in a global way. Machine learning is a key skill set — as many processes become dominated by machine learning. Data scientists, algorithm builders, and machine learning design and implementation experts will become mission-critical. 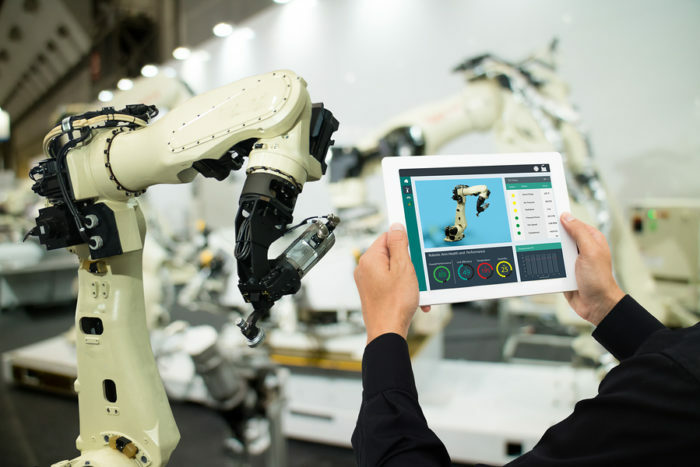 Robotics will take over most routine tasks — as the capabilities of robots increase, the ability to assess, purchase, and implement robotics will become essential. Cybersecurity skills continue to grow in importance — as almost every internal process becomes digital, the importance of cybersecurity and data privacy will increase dramatically. The need for cybersecurity experts will continue to grow exponentially. Quantum computing emerges as a needed skill area — when it becomes more practical, the increased capability of quantum computing will make current computing systems obsolete. In quantum computing, skill sets are likely to remain extremely rare. Yes, I understand that it’s quite rare for corporate recruiting leaders to assume the responsibility for any area that can transform a corporation. But given the limited role that training can play in developing these advanced skills, in my view, it’s time for recruiting to step up and take ownership of this important area. The first action step for recruiting leaders may be to develop “guardrails” that will limit the freedom of individual hiring managers so that hiring a single individual without some future skills becomes “a never event.” The next critical action step is for recruiting to focus on hiring more capable recruiters who can successfully win recruiting battles for talented individuals who work in machine learning, robotics, and cybersecurity. The final step should be developing “future skill capability” metrics for assessing how successful the organization has been in acquiring its needed future skills.